Joseph and Mary had traveled quite a distance by that night. They had to have been extremely tired. And with Mary being nine months pregnant, and more than ready to deliver her child, we can only imagine how exhausted they were when they finally reached Bethlehem. Mary and Joseph lived in Nazareth, a small town some 80 miles from Bethlehem, where Joseph’s family was from. But when the decree had come down that all had to register for the census in the town of their ancestors, Joseph had no choice but to travel with Mary to the City of David, also known as Bethlehem, to register. I’m sure he didn’t really want to make such a journey, especially since Mary was ready to deliver the baby any time. A distance of 80 miles doesn’t sound that long, but in those days, such a trip probably took up to a week to complete. There were no highways as we know them, and the modes of transportation were either by camel, donkey, or walking. There were no streetlights, of course, so when it started getting dark, travelers would have to stop for the night, pitch their tents, and prepare for the evening. Most likely they traveled with a small group of others heading to Bethlehem, or other nearby towns. As it’s said, there’s safety in numbers, and the journey would not have been without some danger from thieves seeking to rob, and possibly even kill, unsuspecting travelers on such a journey. Although the Bible doesn’t address this specifically, I cannot imagine Joseph setting out on such a trip with a very pregnant Mary, without others around for protection and companionship. During the trip they all would have set up camp as it starting getting dark, with the women cooking sparse meals over an over campfire while the men watched over them all. Mary, at least, being pregnant, would probably have slept in a small tent providing meager protection from the elements, but most likely most of the travelers would have simply slept on the ground with blankets over them for warmth, and the men taking turns standing guard. It certainly wasn’t a glamourous journey, nor a comfortable one. Imagine how they felt when they finally reached their destination, and there was no place for them to stay. During the entire trip they were probably thinking how wonderful it would be to have a room to sleep in with a roof overhead and a bed. But there was no way to make reservations in advance, and they weren’t the only travelers arriving in Bethlehem for the census. It had been a matter of whoever got there first getting the rooms, and when they finally arrived, there were no more rooms to be found. Even if there had been, I wonder if Joseph would have had enough money to pay the asking price, because most likely the innkeepers would have raised their rates with such an influx of people coming to town. What was Joseph to do? By this time, no doubt, Mary was past exhausted. The ride on a donkey had not been comfortable, and being pregnant and so close to giving birth would have made it worse. Although I would say that the trip probably hastened the delivery, we also know that it was all God’s plan, and He knew exactly what He was doing. However, Joseph and Mary hadn’t been informed of all of that. After being told by several innkeepers there were no rooms available, Mary was already in the first stages of labor, and Joseph knew he had to find someplace for them that would provide shelter as well as some comfort as she prepared to give birth to her first child. Away from home, away from her family, and away from anyone who could help her with the birth. It was now up to Joseph. I’m sure he wasn’t happy to only have found what is described as a stable, which in reality was most likely a limestone cave where animals were fed and housed. Fortunately for them there were no animals in there at the time, or so we are led to believe. 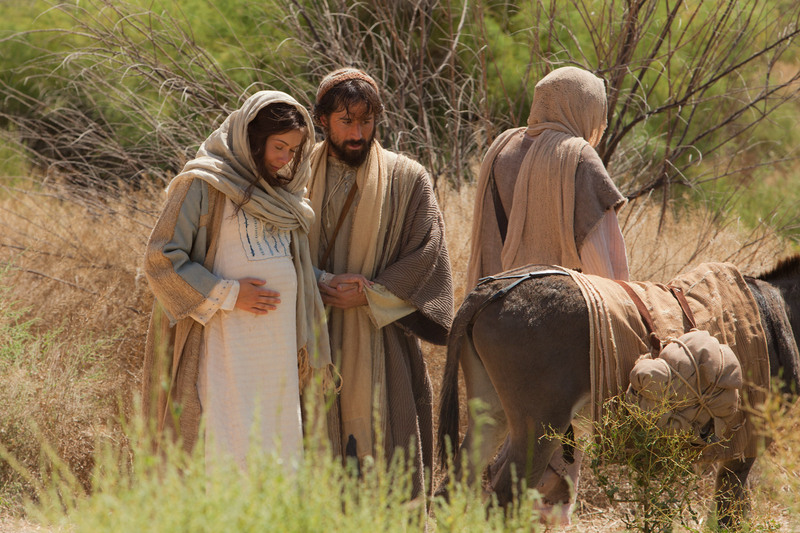 By the time Joseph found the stable, Mary was most likely well into labor, so they didn’t have a lot of time to prepare. They were both scared, having never been in this position before. All they could do is trust the Lord, and make the best of a difficult situation. Which they did. One of the verses of “O Little Town of Bethlehem” says, “How silently, how silently, the wondrous gift is given….” I very seriously doubt the birth was silent. There were no pain killers for Mary, no anesthesia. She had not had breathing exercises nor Lamaze classes. 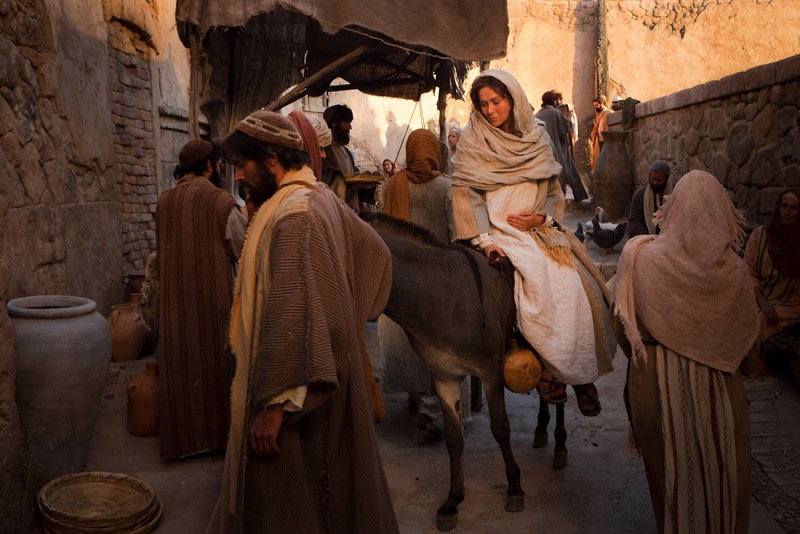 She was a humble peasant girl…a young teenager…giving birth for the first time, with no midwife or attendants to help. She was in pain, and most likely cried out quite a bit from that pain, while Joseph knelt beside her, praying, holding her hand, and wiping her forehead as best he could. And as midnight came, and melted into morning, our Lord and Savior entered the world of man. I am quite sure his infant cries pierced the night straight into heaven’s glory, as God the Father and His heavenly angels rejoiced at the miraculous birth of Jesus. As the birth of the Savior began on Christmas Eve long ago and ended on Christmas Day, let us enter this Christmas Eve with new feelings of love and expectancy for what God has done, and what He will continue to do.